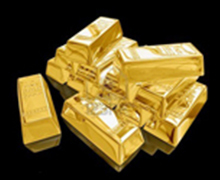 We buy gold NY with the best cash for gold NYC prices around! If you have suddenly found that you have a collection of old gold that you simply do not wear anymore, then D&G Buyers, Inc. could have the perfect solution just for you! Let us start by asking you a simple question. What would you rather have…a pile of old gold that you no longer wear which will sit there and gather dust for a few more years, or a pile of brand new money that you can go out and spend on whatever you like? Well when you put it like that, it’s a bit of a no-brainer really, isn’t it? And that is exactly why so many people choose to come on down to D&G Buyers, Inc. with their old and unwanted bits of jewelry. And that too, is the same reason why you are probably considering the option tosell gold NY with us. But here is one thing which you may not yet be aware of. Unlike some gold buyers and dealers here in New York’s world famous Diamond District, D&G Buyers, Inc. do not exclusively buy and sell just jewelry. We offer cash for gold NYC no matter how it comes. So if you have gold items that don’t fall under the category of jewelry – maybe you have some old gold coins of offcuts of gold from decoration pieces – whatever the case may be, if it’s gold, we will buy it! From the moment you walk in the door here at the D&G Buyers, Inc. store you will be greeted by our friendly and professional team, who will straight away get to work on valuing your unwanted items. If you are not 100 percent happy with our valuations, then you are under no obligation to go ahead with the sale. The choice is completely yours, and only you can make that decision. But we are confident that you will be pleasantly surprised by the generosity of our buy back prices. The chances are, if you are anything like us, that you will have an old jewelry box somewhere with all your old and broken necklaces, rings, bracelets and other bits and bobs all thrown in there. You will no doubt stash the jewelry box away, where it will sit in a tangled mess of brokenness for years. And you might be thinking “Oh, I really wish I could sell that gold necklace, but it’s broken….no one will want to buy it”. Wrong again folks, because we buy gold New York no matter what! You see, we might be mad, but whether your jewelry is broken or not, it really does not matter to us. Regardless of the condition of the items you have for sale, you are guaranteed to be able to sell your gold with D&G Buyers, Inc.
You may also be interested to know that we buy gold New York as just one of our many services. We also buy and sell all kinds of jewelry, watches, coins and even antiques. If it has a value attached to it, then it has a price. Get some much needed cash in your pocket today, and bring your old and unwanted items down to D&G Buyers, Inc. Alternatively, you can always give us a call before you set off to come down. We are always more than happy to hear from you, so give us a call on 800-965- 0980!